This episode will be brought to you by Travis, Wil, Eric, and Kubo. This time we talk about some news regarding McDonalds and the VGCs, as well as, SBJ's Featured Team, and then PKMN of the Week. No Steve this episode, but he promises you will love it. Thanks to all who helped make this episode. PKMNcast is so cool, we got an early lead on tomorrow! Just kidding. From June 17 through July 7, fans can purchase a Happy Meal featuring one of eight McDonald's exclusive Pokémon figures, including Pikachu and brand-new Pokémon Reshiram, Zekrom, Snivy, Tepig, Oshawott, Zorua and Zoroark, as well as one of 12 Pokémon Trading Card Game cards. 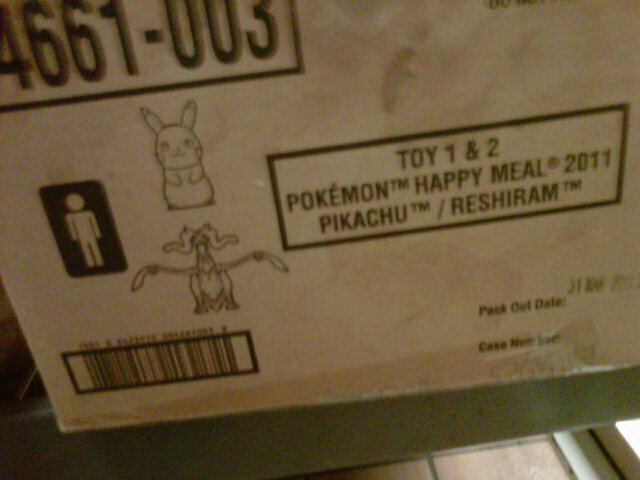 Get your Happy Meal on! Evaluated against two other dedicated pedometers, the Pokéwalker - an add-on device for the HeartGold and SoulSilver Pokémon titles - is the most accurate device for counting steps, according to researchers at Iowa State University.